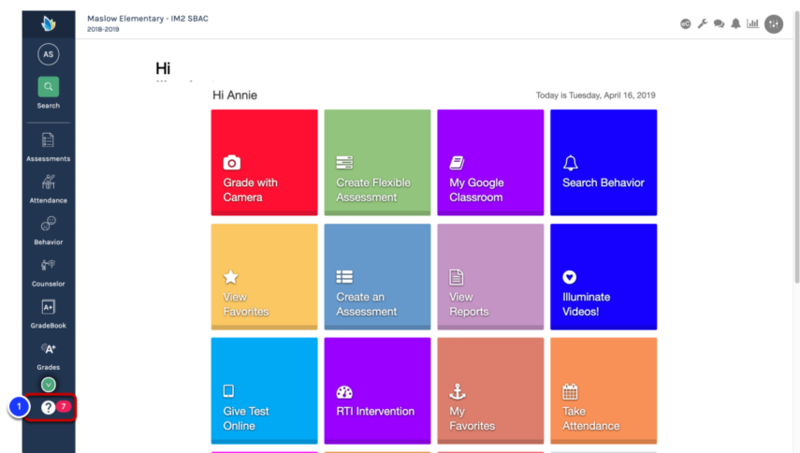 Every time a new version (of the Illuminate product you are using) is released (meaning new enhancements and features, such as new reports, new filters, new capabilities, etc. ), release notes are published for that version so that users know about all the changes. There are two ways in which these release notes are easily accessible to users. This lesson will describe these two ways. 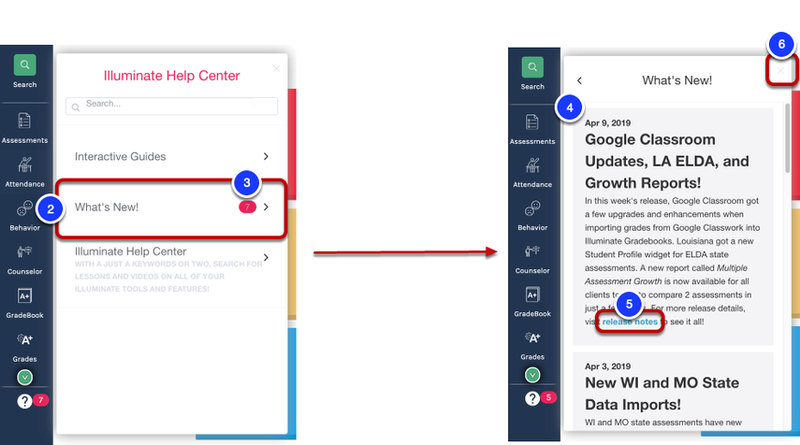 On the Navigation Panel, select the Question Mark icon to access the Help Center, Release Notes, and Interactive Guides. Select What's New! to access release notes, updates, reminders, etc. The number of new and unread notifications will appear highlighted in red. The most recent notification or Release Notes will be available first, followed any remaining notifications sent to you. Release Notes will typically include a link to our Illuminate Help Center to continuing reading more in detail about the release. To close this menu, select Close. 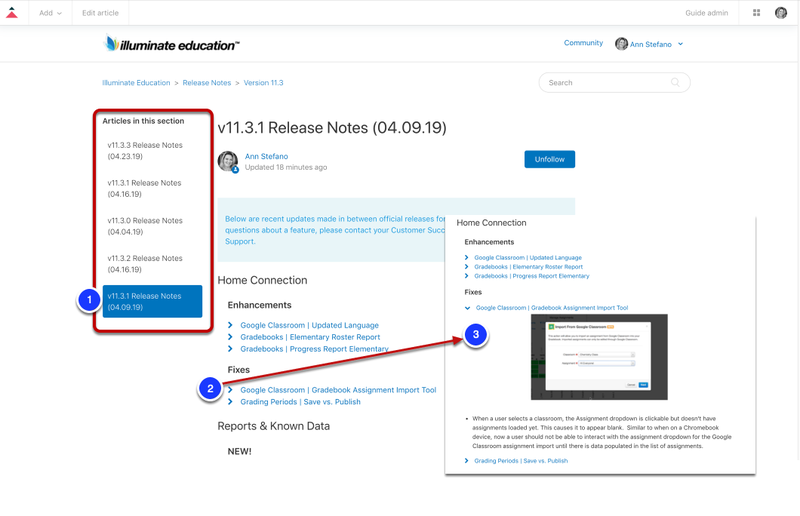 The link will take you to our Illuminate Help Center and the specific Release Notes mentioned in the announcement, which is highlighted in the Chapter's list of available articles. Releases are divided into NEW!, Enhancements, or Fixes, all of which are collapsed and titled accordingly. When selected, it expands to include often an image of the change and a description of changes made. Any additional help docs and resources may also be included, where applicable. Illuminate is known for its intuitive design, so there is much you can learn just by exploring the site. If you require assistance at any time, simply visit the Illuminate Help Center for Support or contact our knowledgeable Customer Support Team.